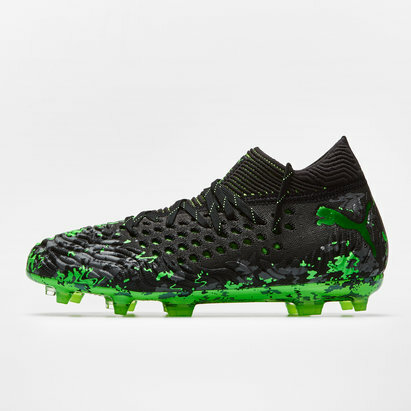 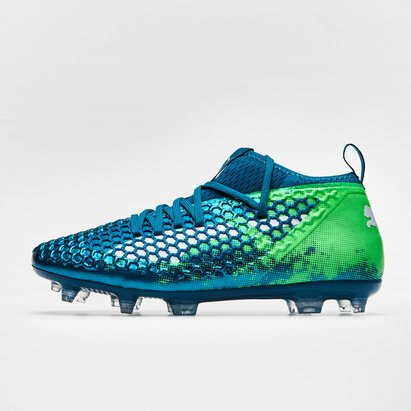 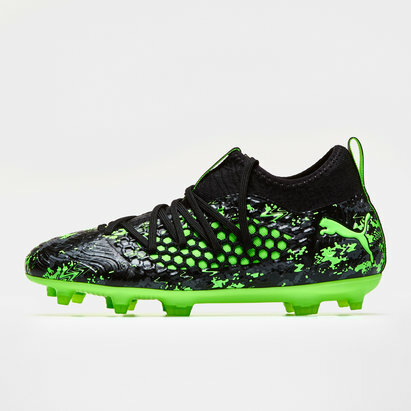 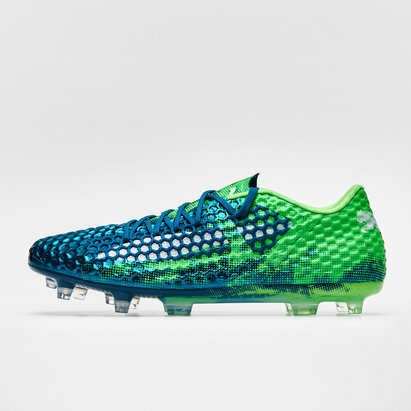 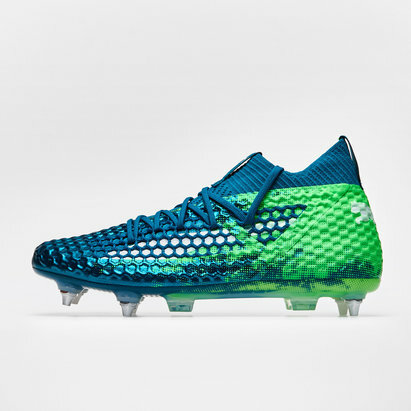 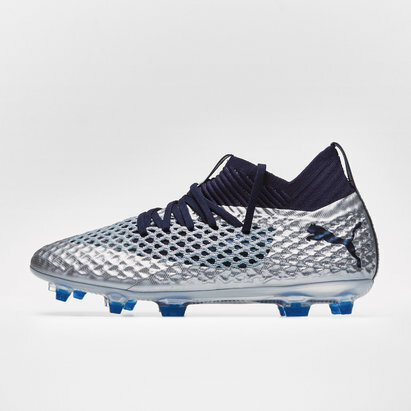 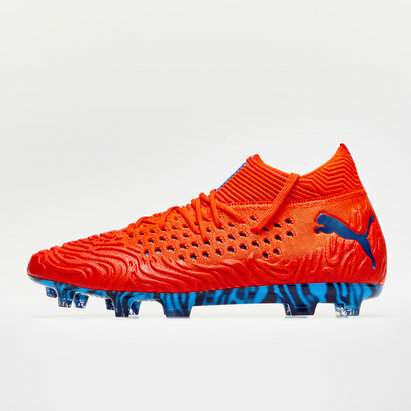 Innovation introduced to sport, lace up any way you want with the Puma Future 18.3 HyFG Football Boots which come in Deep Lagoon, Puma White and Green Gecko. 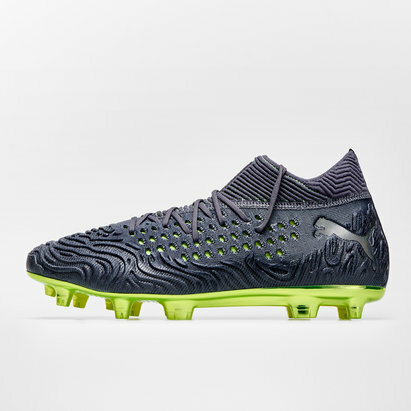 These brand new Future 18.3 boots feature Puma's evoKNIT sock that gives a supportive and snug fit around the ankle. 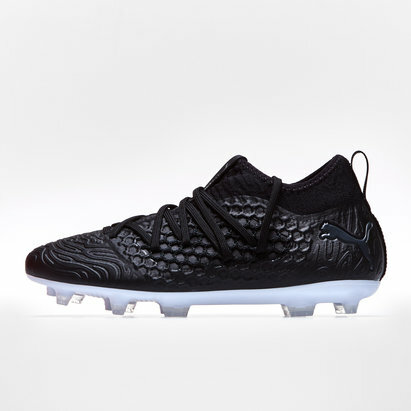 The upper is made from a soft premium leather that's both lightweight and long-lasting, the soft material also amplifies your touch upon the ball. 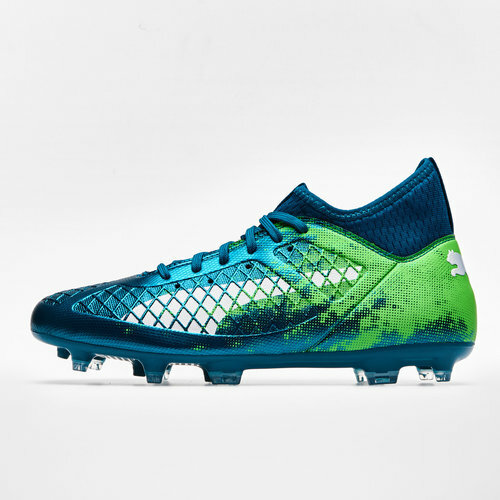 To aid stability in the midfoot, support straps have been included either side of the central lacing system.